Do you look in the mirror and wish you had a straighter, more vibrant smile? 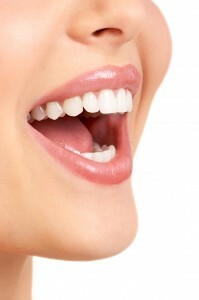 Our Massapequa office offers a full range of cosmetic dentistry services to help. Whether you’re simply looking for whiter teeth or need a complete smile makeover, Dr. Dory Stutman can help. And because choosing the right cosmetic service without knowing what the end result will look like can be intimidating, we’re making the whole process easier with digital imaging. Now you can know what the final results will look like before you even begin, no matter what procedure you’re considering. Dr. Dory Stutman wants you to be absolutely happy with your smile. That’s why we’re taking the mystery out of cosmetic dentistry with digital imaging. It’s almost like telling your future! Using just a couple of digital photographs, our computer software, and our knowledge of your personality, style, and appearance, we can show you exactly how each of our cosmetic dentistry services will transform your smile. That way you can be confident you’ve made the right choice. With such a diverse range of option, we’re confident you can have the smile you’re looking for. And with our digital imaging software, we’re making the process so much easier. Call our Massapequa office today to schedule a consultation appointment with Dr. Stutman. A great new smile and a great new you are just within your grasp! by: Dr. Stutman's Office at March 2, 2013 .